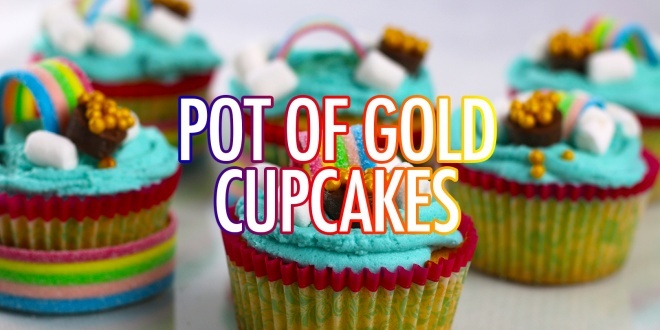 These pot of gold cupcakes are actually quite a nice easy bake, but the fun comes in decorating them. For the cupcakes themselves you can use any flavour you want but with the number of things going on top of them, I would keep it quite neutral or simple so that you can enjoy all the flavours. They are perfect for some St Patrick’s Day baking, and take no time at all. 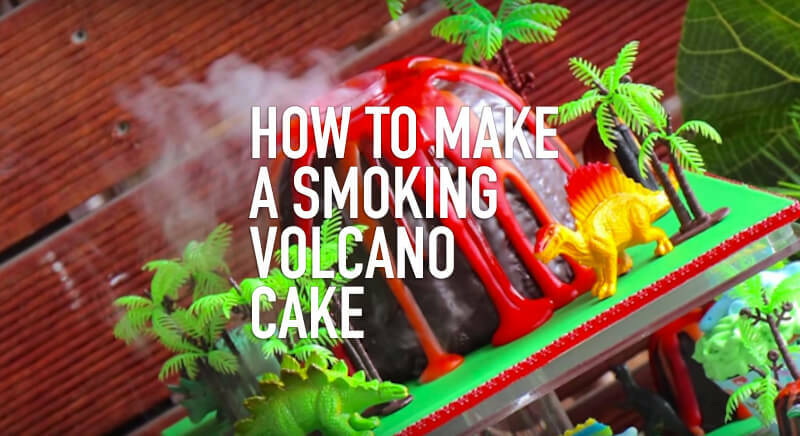 If you are baking with kids, these should definitely keep them busy! 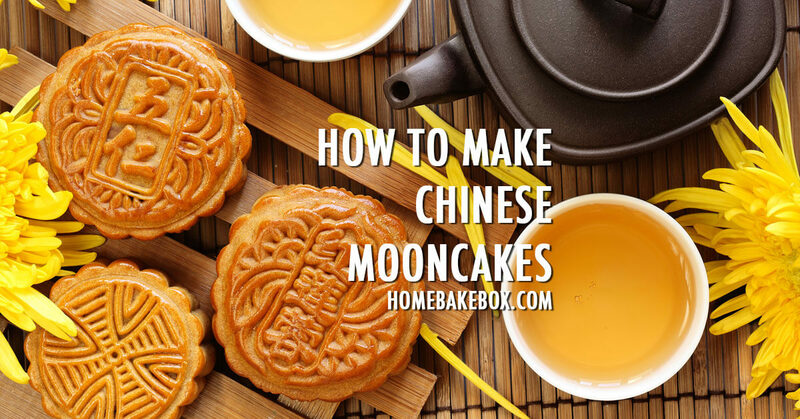 Combine 125g self raising flour, 125g caster sugar, and 1/2 tsp vanilla with 2 whole eggs and 125g softened butter and beat together to form a batter. Portion in to 12 cupcake cases & bake for 20-22 minutes until fully baked throughout. 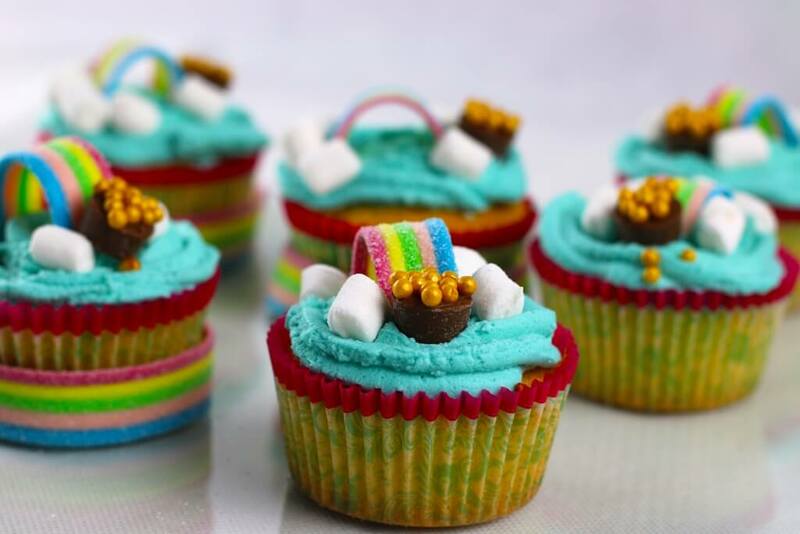 Allow to cool to room temperature – the cupcakes should be soft and light in colour. Gradually stir in the blue colouring, a few drops at a time to achieve the desired strength of colour. Do this gently so you don’t lose too much air from your whipped cream. Pipe the whipped cream on top of the cupcakes, although even spreading it on with a knife will be fine as there is plenty going on top of it anyway! Cut your rainbow sweets into pieces about 3 or 4 inches in length & place one on each cupcake in an arch shape (as you can see in the image). 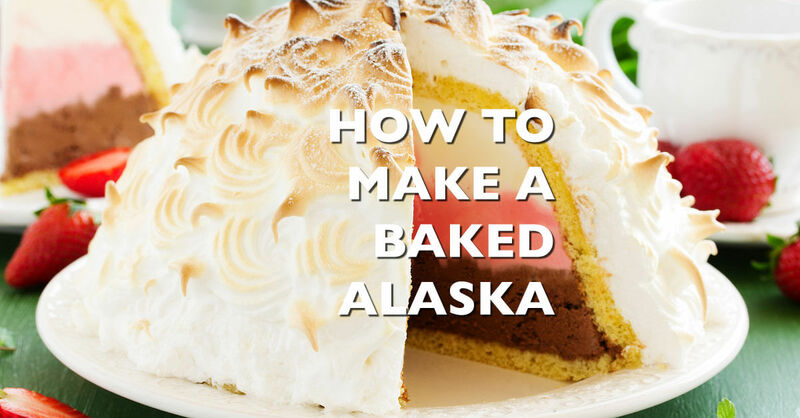 Add a few mini marshmallows either side to look like clouds. 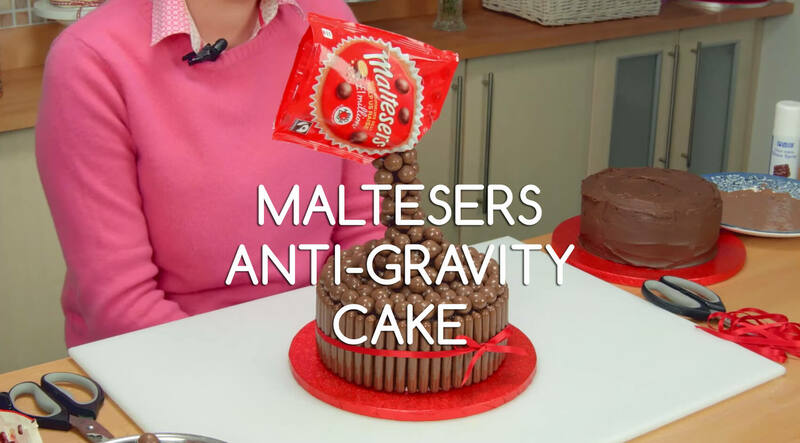 Melt the bottoms of your chocolates – the easiest way is to rub them along the bottom of a warm saucepan – and sprinkle on some gold – ideally enough to cover the whole of the bottom. Add the chocolate caramel upside down (so gold side up) to the top of your cupcake to make up your little pot of gold at the end of the rainbow. Next How Do You Make Buttercream Frosting?